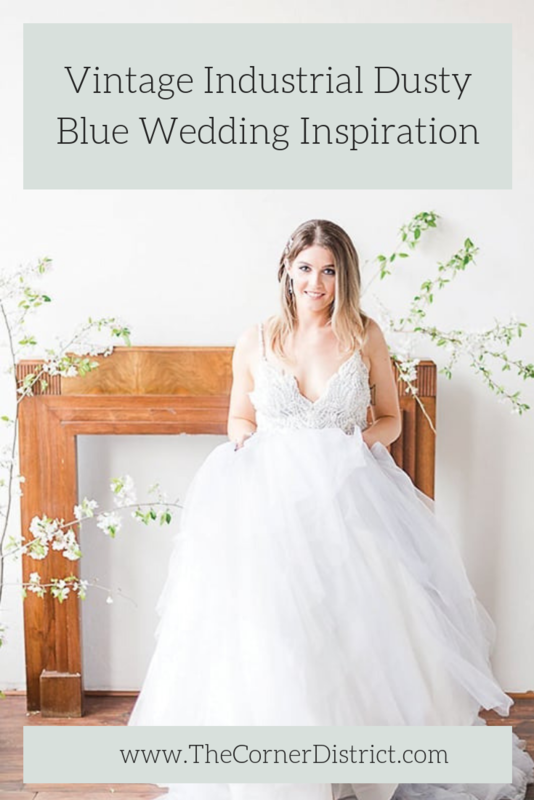 We’re so excited to share this Vintage Industrial Dusty Blue Wedding Inspiration that was featured in Southern Bride Magazine on the blog today! 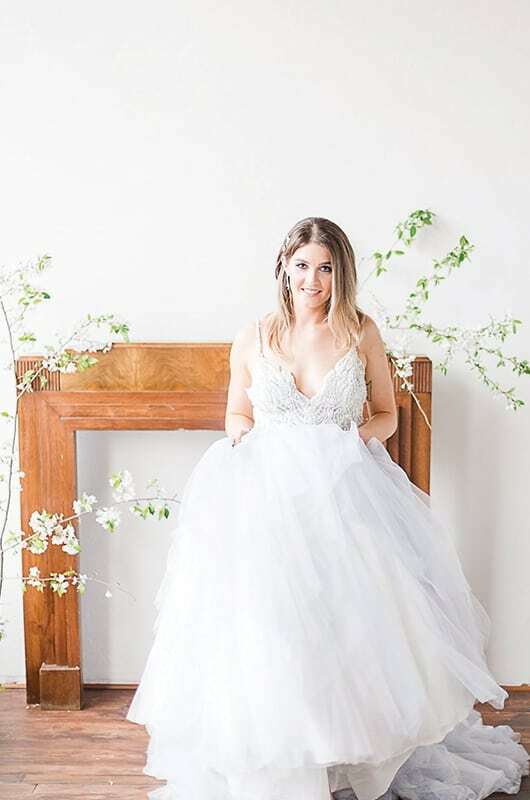 Earlier this year, some of our dear wedding vendor friends hosted an educational workshop, Styled Workshop, all about styled shoots at The Corner District. 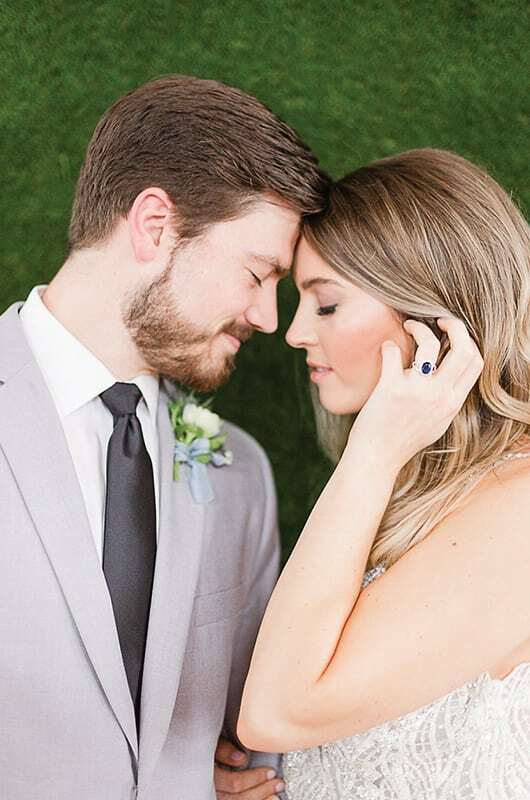 It was a day full of networking, learning, and watching a styled shoot come together from start to finish. 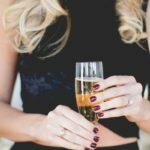 So valuable for new wedding professionals! 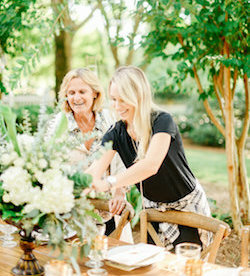 Styled Collective members Shannon Ford Photography, Storybook Wedding Consulting, Stems Atlanta and The Prissy Plate Company poured their hearts into this stunning shoot, as well as shared their industry insight with attendees, making for an incredibly successful launch for Styled Workshop. 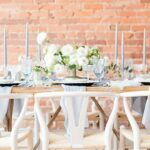 We were honored to get to share our venue with so many sweet creatives! 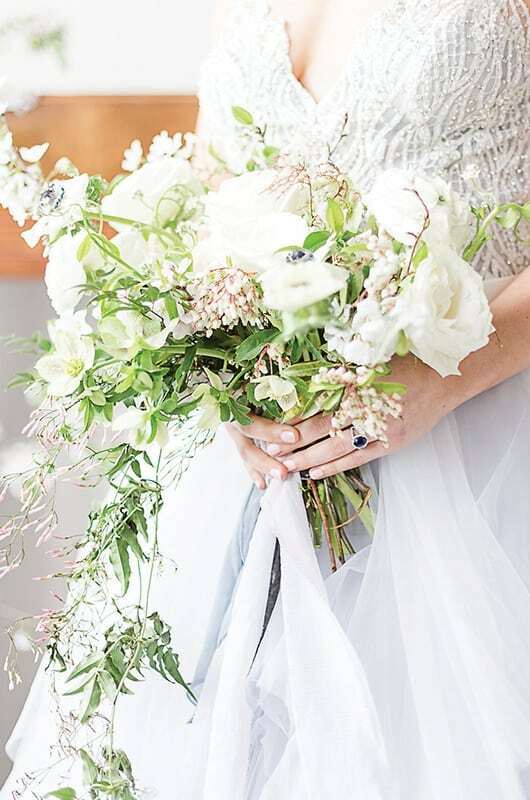 And can we just say that this color palette was so pretty for our parlor?! 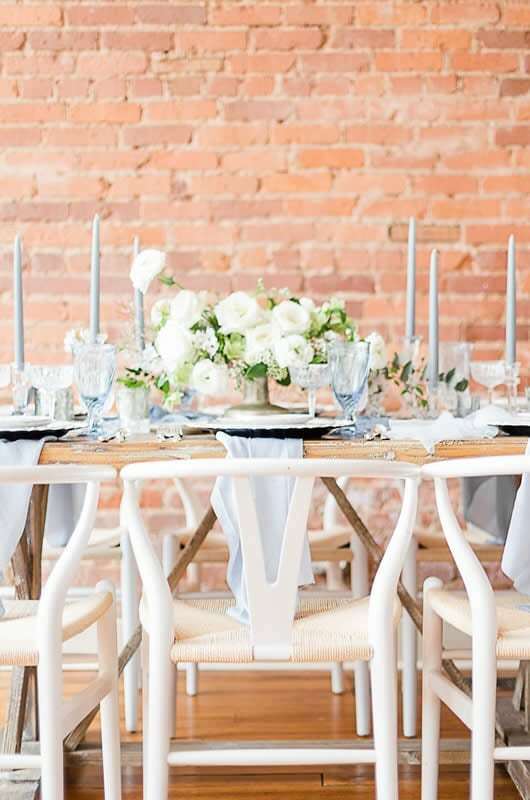 With exposed brick walls and hardwood floors, the venue provides a warm, blank canvas. 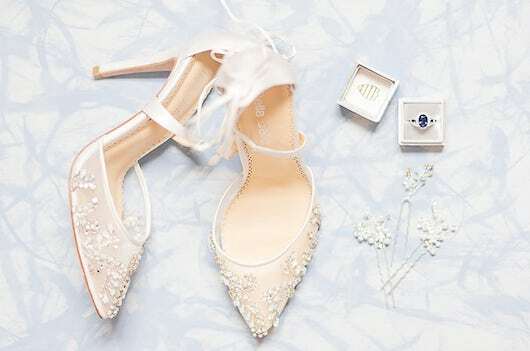 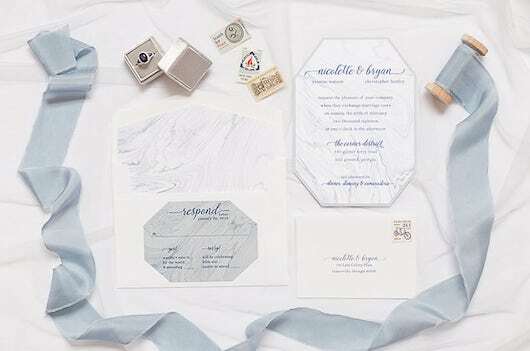 The cool + dusty blue tones were the perfect juxtaposition and we can’t wait for our brides to be inspired by this look for their real wedding at The Corner District! 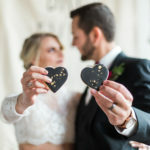 We’re sharing some of our favorite photos from the styled shoot below. 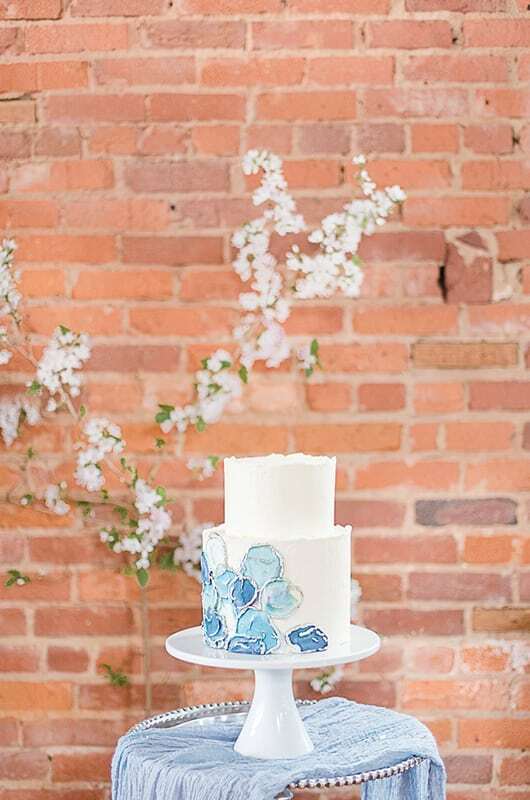 For more photos + to see the online feature of this Vintage Industrial Dusty Blue Wedding Inspiration on Southern Bride’s website, head here! 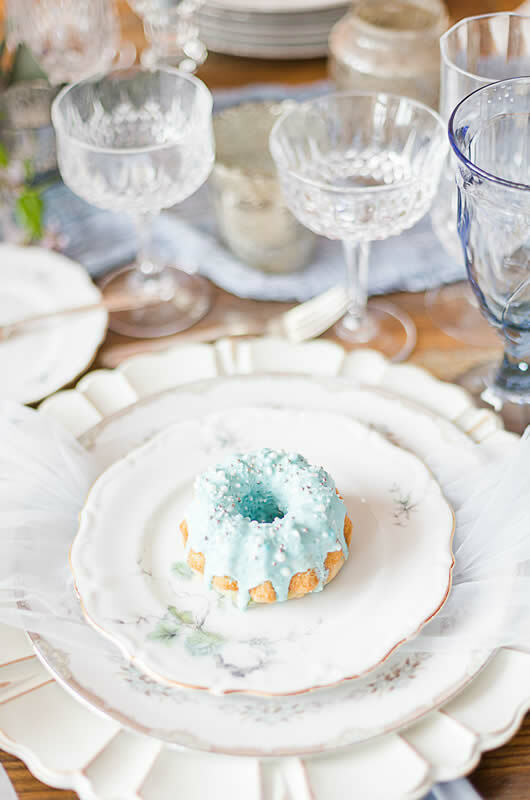 Pin This Vintage Industrial Dusty Blue Wedding Inspiration!